If you have been waiting to sell your home in Boise or Meridian, Eagle or anywhere in the Treasure Valley, this may be the time for you. According to RealtyTrac.com, CNBC and other sources people expecting to buy a home this coming season are going through the roof. But inventory is very low. One of the housing sectors that has lagged in the Boise area have been higher priced homes. But now, that is one of the most sought after sectors. Rents are soaring. Interest rates are low. 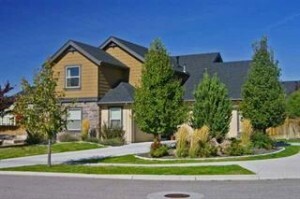 And recent home sale prices in Boise are also soaring! They are selling fast and there are few to sell. If you have been waiting to sell, it is time to have us assess the probable market value of your home. If so call us. Call Jon Gosche at 208-870-2115 and I will arrange for me or one of my top selling brokers to meet you and do a Broker Price opinion for you at no charge. If you are considering buying you need an agent and a website where you can get real time listings fast. The best deals sell fast. To get a best deal you MUST have access to NEW LISTINGS as soon as they are listed.